Nothing is more sweat- and smell-inducing for the feet than a pair of plain black dress socks. Hyper-professional clothiers Ministry of Supply feel very strongly about this, as they’ve turned to America’s favorite caffeinated beverage for a solution. 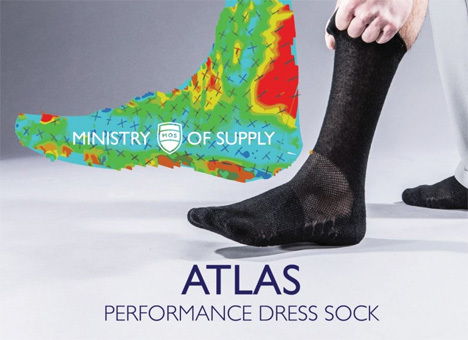 Their new socks are simply called Atlas. 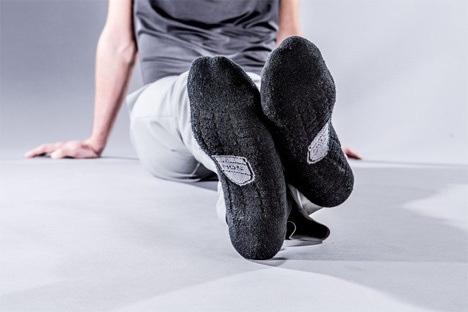 Their composition includes a mixture of cotton and recycled polyester, with a shot of carbonized coffee to stamp out odors. Coffee has long been used to kill unpleasant odors, such as the stench of cut-up onions on the hands. After the reclaimed coffee is procured from coffee roasters, shops and other sources, it goes through a pharmaceutical process to remove the coffee’s oils and smell. 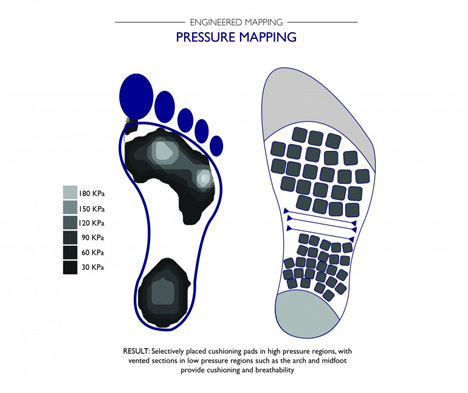 MoS has done testing on the footwear and claim that the Atlas is three times more absorbent than regular cotton. See more in Weird Science or under Science. July, 2013.